The Syrian regime has agreed to allow aid into besieged Madaya town where residents are reportedly starving to death, the UN said in Geneva on Thursday. Apart from providing aid to Madaya in the coming days, the UN will also provide assistance to two towns, Foah and Kefraya, in the Syrian province of Idlib which are besieged by rebel groups, it added. “We are particularly concerned about the plight of nearly 400,000 people besieged by parties to the conflict in locations such as Deir Ez-Zor city, Daraya, Foah and Kafraya, as well as besieged areas of East Ghouta,” the UN said in a statement quoting Yacoub El Hillo, UN resident and humanitarian coordinator in Syria, and Kevin Kennedy, regional humanitarian coordinator for the Syria crisis. “In the last year, only 10 percent of all requests for UN inter-agency convoys to hard-to-reach and besieged areas were approved and delivered,” the UN said. 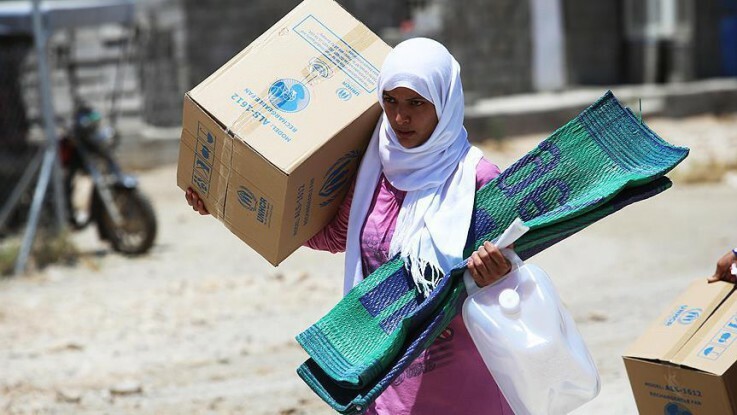 According to the UN, up to 4.5 million people in Syria live in hard-to-reach areas, including nearly 400,000 residents in 15 besieged locations who do not have access to the life-saving aid they urgently need. Twenty-three people died of starvation last month in the blockaded town of Madaya northwest of Damascus, a Madaya health committee report revealed. “Almost 42,000 people remaining in Madaya are at risk of further hunger and starvation. The UN has received credible reports of people dying from starvation and being killed while trying to leave. On Jan. 5, 2016, a 53-year-old man reportedly died of starvation while his family of five continues to suffer from severe malnutrition,” UN said. Later Thursday, the U.S. State Department welcomed the UN statement, saying that Washington was working with the coalition to address the very urgent humanitarian needs in Syria. “Starvation as a weapon of war is utterly and completely despicable,” said State Department spokesman John Kirby. Living conditions in the town of Madaya further deteriorated as winter set in. Electricity is non-existent and many people use what is left of their destroyed homes for heating purposes, the report said. According to local sources, food prices shot up dramatically since the regime’s blockade began. A kilogram of rice reportedly now costs around $115. The Syria conflict, which will enter its sixth year in early 2016, has left more than 250,000 people dead and turned the country into the world’s largest source of refugees and displaced persons, according to the UN. Nearly eight million victims are internally displaced and more than 4 million have fled to nearby countries since the conflict started.